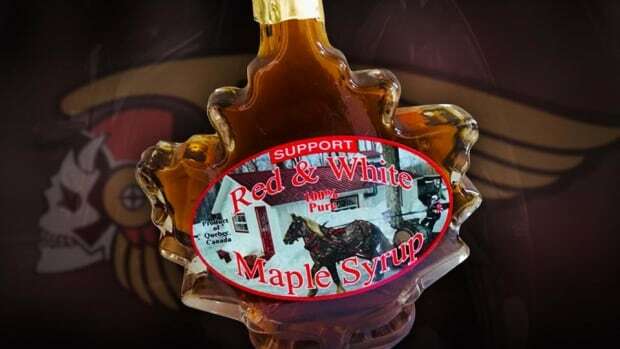 An influential member of the Hells Angels is running a maple syrup business in the Outaouais that sells bottles of the sweet condiment decorated with the gang's colours, sources tell Radio-Canada. The "Support Red & White Maple Syrup" label may seem like patriotic branding, but those are also the notorious criminal organization's official colours. What's more, the syrup comes from a farm in Saint-André-Avellin, Que., run by Michel Langlois, an influential member of the gang. Sûreté du Québec investigators searched the farm near Montebello in late January as part of a drug investigation. They made no arrests. The farm's owners didn't return calls from Radio-Canada. The Federation of Quebec Maple Syrup Producers said there's nothing illegal about the syrup operation. Retired police officer and criminal biker expert Sylvain Tremblay said the Hells Angels in Quebec are increasingly turning their attention to smaller, legitimate businesses. "As long as you stay in [industries] like car washes, garages and sugar bushes, it's a lesser evil," he said. "But we saw with the Charbonneau Commission, when it comes to public contracts, getting into the economy on the level of the construction sector, then it becomes a real problem." 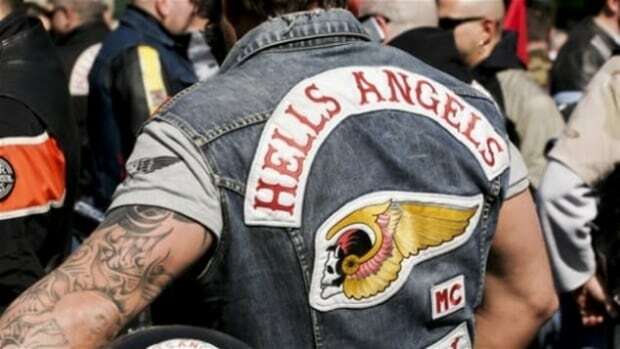 Jacques Nantel, a professor emeritus at the HEC Montréal business school, told Radio-Canada he thinks the strategy could become very profitable for the Hells Angels, whose symbols carry a certain cachet with a portion of the general public. "Most consumers don't care what will be done with the money from the sale. In general, consumers care a lot more about the symbolism of the logo or the product," Nantel said in French.